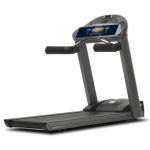 Soft styling enables the L7 Treadmill to blend into any environment, but don’t be fooled by its refined looks and whisper-quiet operations. 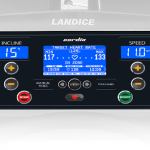 The L7 treadmill features a four-horsepower continuous-duty drive motor ranging in speed from 0.5 to 12.0 mph. 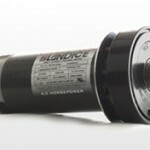 The rust-free aluminum frame contains a 1-inch thick reversible deck, capable of reaching a 15% elevation. 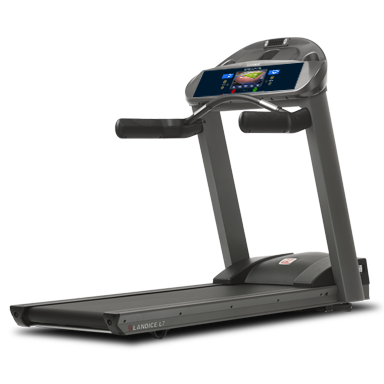 The High-Tech Entertainment Center comes standard on the L7 Treadmill. Included is an integrated reading/accessory rack; iPhone, iPod or MP3 connectivity with Landice PodGrip™; a personal cooling fan; high-powered stereo speakers; and a convenient water bottle holder. Our exceptional quality starts with our solid, superior alluminum frame which will not rust.